Smoke from the small forest fire was visible from I-90 and the high peak of the Snoqualmie Ridge Aster Creek neighborhood for much of the morning and afternoon on Sunday, July 21, 2013. 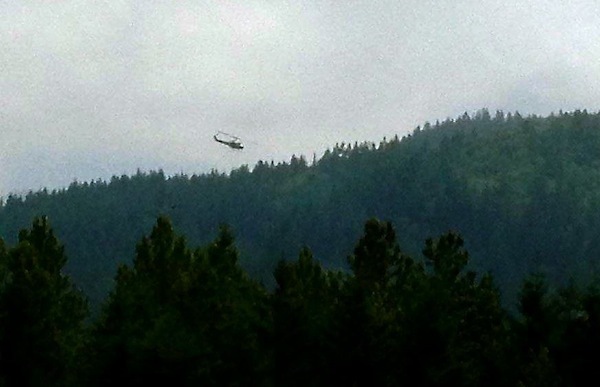 Neighbors watched as a helicopter assisted with the fire. Kryger said the small, contained fire was on the northeast end of Echo Lake and ran along the power line easement. It appeared to have started near the lake and worked its way up the hillside. Crews monitored the fire overnight Saturday in case area residents needed to evacuate. The Department of Natural Resources said two fire crews responded to the scene. 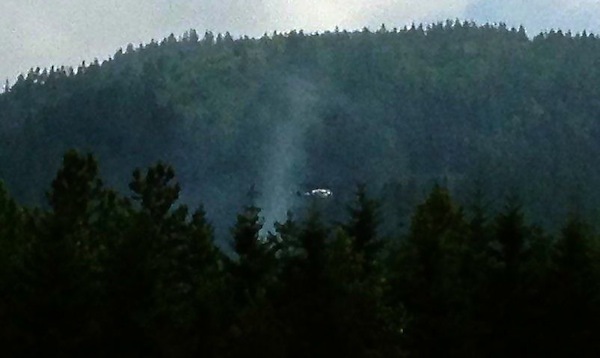 A helicopter was also used to contain and put out the flames on Sunday afternoon. It appears no residents were asked to leave their Echo Lake area homes. Fire danger in King County is considered moderate. A burn ban is in effect July 1, 2013 through September 30, 2013 on all forest lands under Department of Natural Resources jurisdiction. All outdoor burning is banned with the exception of recreational fires in approved fire pits within designated state, county, municipal or other campgrounds. The use of gas and propane barbeques and self-contained stoves are allowed.